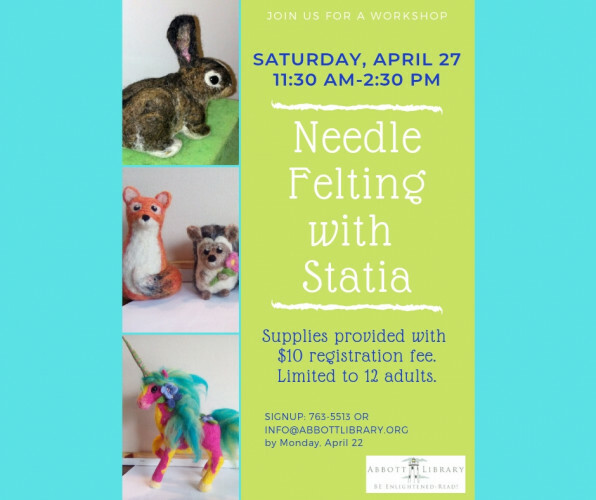 Come to Abbott Library and learn how to create a needle felted critter. Please sign up by April 22. Supplies provided with $10 registration fee. Limited to 12 adults.